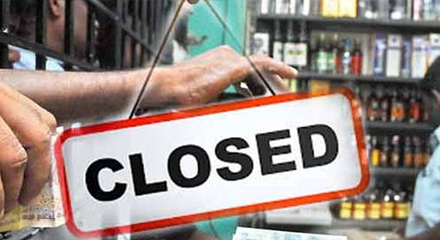 With the impending parliamentary elections and the by polls to 18 legislative assembly constituencies on 18th April, the Tasmac shops , state run alcoholic liquour shops, will remain closed for 3 days from 16th April to 17th April. The Chief Electoral Officer further informed that during the surveillance so far, cash amounting to Rs. 128 Crores, 989 kg of gold valued at Rs. 280 Crores, and silver worth Rs. 2 Crores have been confiscated. Further, liquor valued at Rs. 34.43 Crores, laptops, cookers, saris, and clothes worth Rs. 7.7 Crores have been seized. 2159 complaints were received through eVigil mobile App. Action has been taken on 946 complaints. 1181 complaints were dismissed. 32 were pending.